A New Dawn A New Day (Tribute to Nina Simone). Prismacolor on paper, 2017. 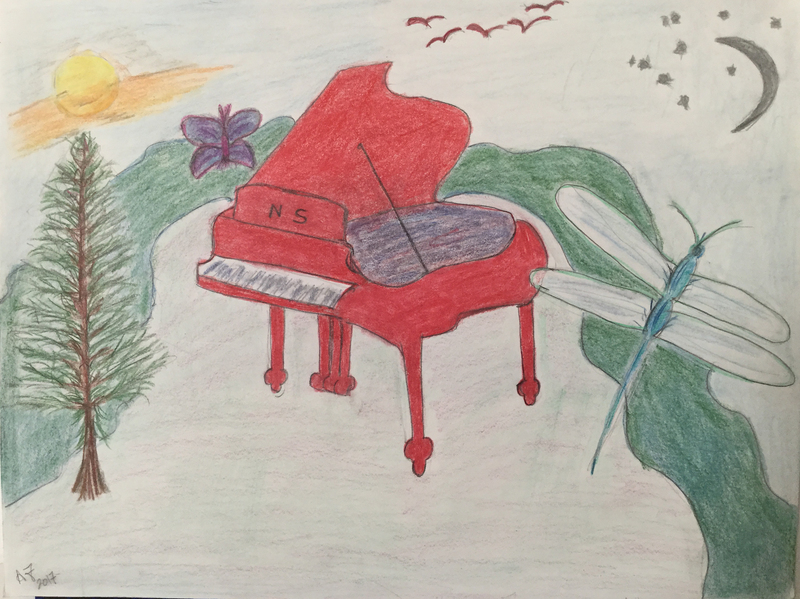 A drawing in color of a piano, sky, birds, dragonfly, butterfly, pine tree, and stream.